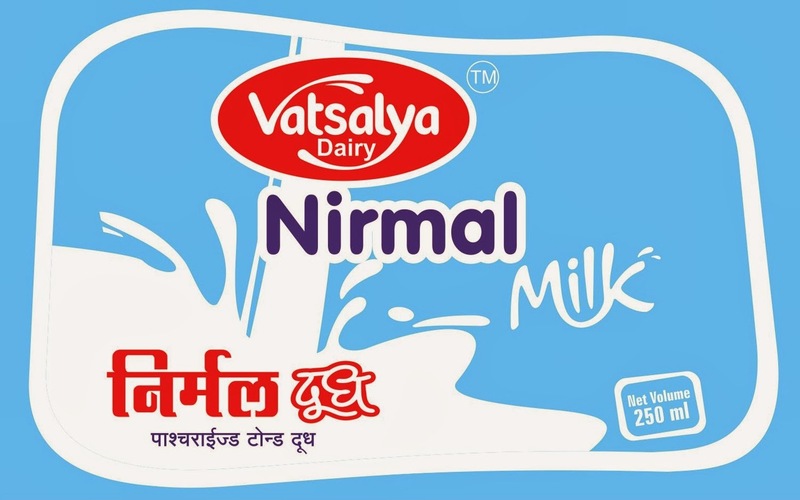 Vatsalya is the well known brand in the pouched milk. The range of products includes milk, ghee, Mawa(also khoya), kunda, curd, paneer, butter, shrikhand and sweets etc. Milk may be defined as a whole, fresh, clean, lacteal secretion obtained by the complete milking of one or more healthy Milch animals excluding that obtained within 15 days before or 5 days after calving or such periods as may be necessary to render the milk practically colostrums free and containing the minimum prescribed percentage of milk fat and milk-solids-not-fats. Pasteurization: The term pasteurization refers to the process of heating each & every particle of milk to at-least 63° C for 30 minutes, or 72° C for 15 seconds in approved and properly operated equipment. After pasteurization the milk is gradually cooled to 5° C or below. Homogenization: Homogenization refers to the process of forcing the milk through a homogenizer with the object of sub dividing the fat globules. Absolutely delicious, with a rich and creamy texture, Vatsalya Dairy Dahi is uniformly thick, consistent and natural, without the use of any preservatives. 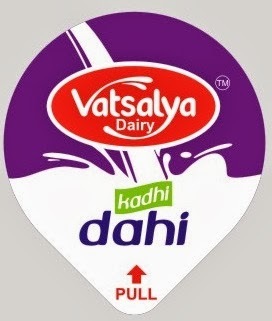 Vatsalya Dairy Dahi is made from pasteurized Toned milk which contains 4.5 % fat of milk and 9 % milk SNF. Not only does it taste great, it also aids digestion by maintaining balanced micro flora in the intestine and suppressing the growth of undesirable pathogenic bacteria. Paneer refers to the milk solids obtained by the acid coagulation of boiled whole milk & subsequent drainage of whey. The acid commonly used is citric in both natural & chemical forms. Shrikhand is a semi-soft sweetish - sour whole milk product prepared from lactic fermented curd. The curd (dahi) is partially strained through a cloth to remove the whey and thus produce a solid mass called chakka (the basic ingredient for shrikhand). This chakka is mixed with the required amount of sugar, cardamom, etc. to yield shrikhand. They are made with sugar, milk and condensed milk, and cooked by frying. The bases of the sweets and other ingredients vary by region. In the Eastern part of India, for example, milk is a staple, and most sweets from this region are based on milk products.